Sales of new cars continued their decline as economic uncertainty, tax changes and confusion over Government policy towards motorists continued to drive buyers away from dealer forecourts. Registrations fell 15.7pc in March - the month that is typically the biggest of the year for the industry as drivers snap up vehicles with the latest number plate. Total registrations for the month were 474,069, down from 562,337 a year ago, but the industry was quick to point out that decline came against the best-ever March performance the previous year. Drivers rushed to buy cars last March to beat new tax rules that started in April last year, "puling forward" demand and pumping up the previous year's sales. Nonetheless last month represented the 12th consecutive monthly drop in registrations, with year-on-year sales down 12.4pc in the first quarter. The poor sales were largely fuelled by drivers abandoning diesel cars, with registrations of these vehicles dropping 37.2pc to 153,595. The Government has introduced new taxes on the sale of diesel cars, which are blamed for emitting nitrous oxide pollution. Car makers have complained that such a move is an environmental own goal as diesel generates less carbon dioxide than petrol and the new tax does nothing to get older, more polluting vehicles off the road. They also say that the latest diesel engines produce less nitrous oxide than many petrol engines. 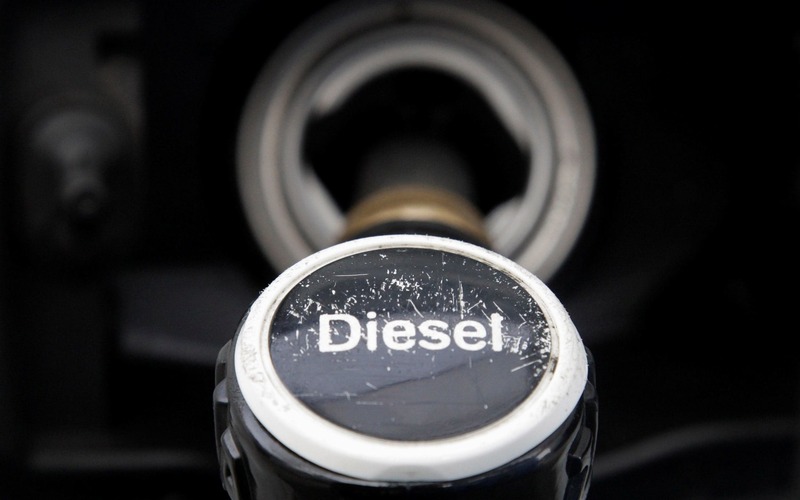 Diesel had a 32.4pc market share in March, down from 43.5pc a year ago. Previously the market was split almost evenly between petrol and diesel. Petrol car sales rose 0.5pc compared with a year ago to 296,349, a 62.5pc share of the market. Some 24,126 alternatively fuelled vehicles - such as electric and hybrid cars - were sold in March, a 5.7pc rise, giving them 5.1pc of the market. Sales were down across the three main markets of private buyers, "fleet" customers such as car hire companies, and businesses: dropping 16.5pc, 15pc and 14.3pc respectively. Concerns that consumer credit markets are tightening ahead of rising interest rates appeared unfounded, with private buyer demand falling broadly in line with the rest of the market. 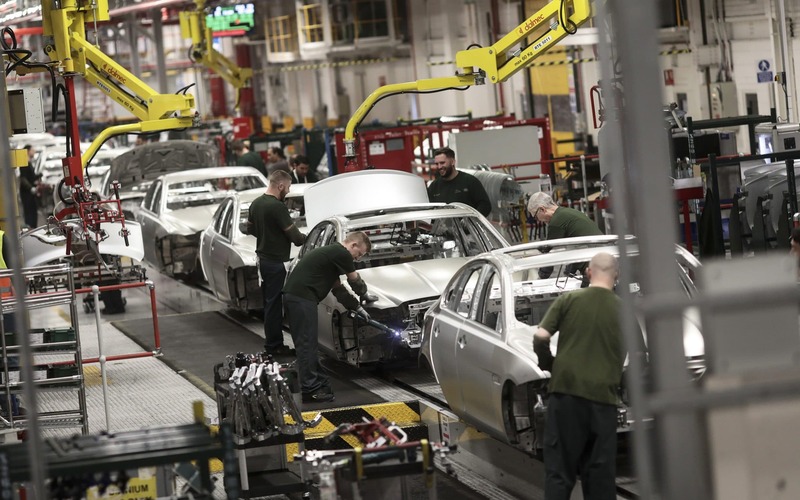 Industry trade body the Society of Motor Manufacturers and Traders (SMMT), which compiles the figures, said the declines were forecast but warned about the importance of the car industry to the UK’s economic health. Britain’s car industry has an annual turnover of ?77.5bn. It employs 169,000 people directly in manufacturing and 814,000 across the wider sector such as in sales and servicing. Around 82pc of the 1.67m vehicles built here sold are abroad - mostly to the EU. “Private new car sales fell 16.5pc year-on-year in March after drops of 2.0pc in February and 9.5pc in January, indicating that squeezed, cautious consumers remain reluctant to make major purchases," said Howard Archer of EY Item Club. This was "consistent with the overall softness in consumer spending over the year", he added. Fleet sales also dropped 10.8pc over the first quarter. Mr Archer added: “Even allowing for uncertainty over Government policy on diesel cars, it appears that some businesses are reluctant to replace or add to their fleets amid a highly uncertain economic outlook." Simon Benson of AA Cars said that, for such an important month, the figures represented "more of a whimper than a bang", but noted that demand for used cars remained strong. The campaign against diesel is "clearly having an effect" according to Justin Benson, head of automotive at KPMG, but not the one hoped for. "The decline in diesel cars is not being transferred to alternative fuel vehicles or petrol," he said. "This suggests that people are keeping their vehicles for longer. Much like businesses, consumers are currently in the ‘wait and see’ camp wanting certainty around the economic environment"
He added that worries about Brexit, inflation rising faster than wages and the Bank of England hinting it will raise interest rates are all causing consumers to hold back.